According to an International Franchise Association (IFA) early 2014 survey of its franchisor members, 82% now think that taking their franchise international is important to the future success of their franchise. Five years ago, 54% thought going international was important. 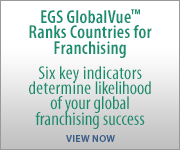 Based on 25 years of international franchise experience as a franchisor, master franchisee and, most recently helping over 20 US franchisors go international, I know the most difficult task is finding the right country and the right licensee for your particular franchise. One solution for US franchises can be working with the U.S. Commercial Service (USCS), the international-focused arm of the U.S. Department of Commerce. The USCS has experts on the ground in over 100 countries whose job is to help US companies sell their products and services. Why do you want to enter this particular country? What is the profile of whom you want as a licensee? How is your brand different than what is already in their country? 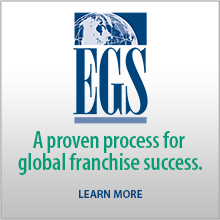 A close working relationship with the USCS people on the ground in the country, plus patience in finding and signing the right licensee for your specific franchise, are critical to success in using this valuable resource for US franchisors. At the end of the day, you have to help the USCS post help you find your licensee in a country.